After 17 dates full of confetti, good music, crazy shows and great artists, elrow – Kehakuma came to an end on Saturday, September 26th. 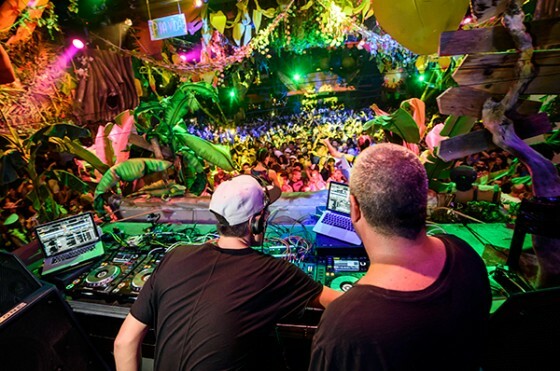 On their second season at SpaceIbiza, the party revelation has settled as being a reference within the extensive Ibizan nightlife. With a recipe that brings together two antagonistic concepts but complementary priori, Saturdays at Space Ibiza have dented many. elrow with their singermornings, impossible theme and that special way to give it all on the dance floor of the Main Room, facing Kehakuma and their love for the best music in the Terraza are already a classic. To all this, this year they joined KER. The former club of reference in Barcelona has added new life to the party from the Sunset Terrace. To close this very successful season, elrow – Kehakumaprepared a festival in style with over 10 hours of uninterrupted music, more than 80 actors, 3 rooms in operation and 19 artists where they emphasized names like Art Department, Anja Schneider, Fritz Kalkbrenner, Los Suruba and Eats Everything (special guest announced throughout the week). 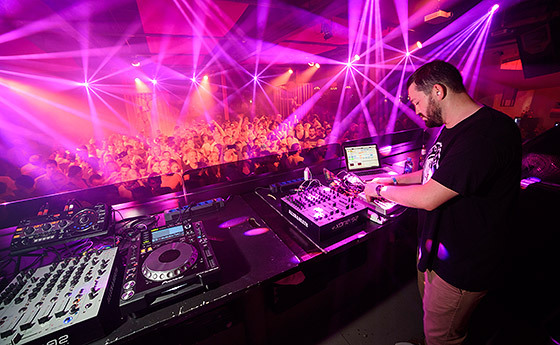 With the club full to capacity and the Funktion One sound system at peak performance, Space Ibiza lived a farewell in style. The club experienced a big night where energy flowed through every corner of the dance floor and the music was again the protagonist. 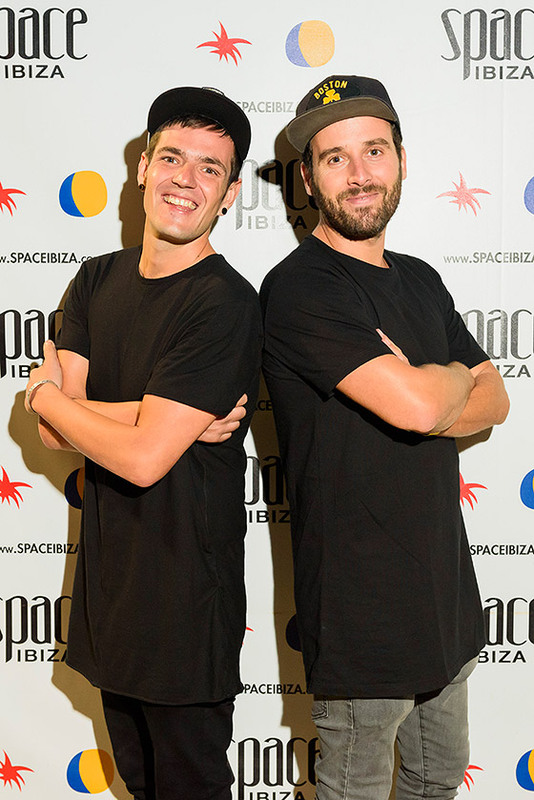 But who better than the resident DJs of both brands, Javi Bora and De la Swing, to tell us about the closing and settling this season? Hello, how was your summer in Ibiza Javi? JB – The truth is that it has been the bomb and a summer to remember! 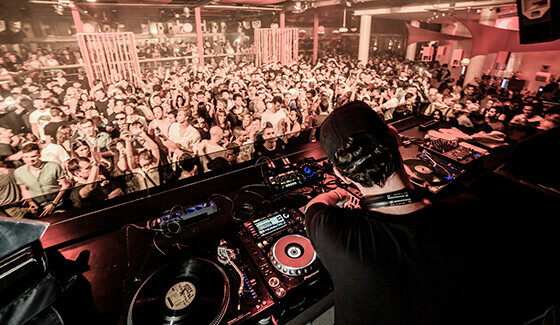 It was my third year as the official resident DJ at Space Ibiza spinning at the Opening, Anniversary, Closing and for parties such as Kehakuma, Vagabundos and RawChange. Actually I’m thrilled to be a part of this great club and living on this beautiful island where I enjoy the music, nature and good vibes it offers. JB – Kehakuma has been really incredible, it has been running at full capacity from the first day to the last. A success! The lineup deserved it, it was really powerful and people have responded Saturday after Saturday. De la Swing, how was your season? DS – It’s my fourth season participating in Ibiza and contributing my grain of madness to elrow. I am very happy to live the tremendous evolution of the brand on the island. No doubt this season have been to frame and have noticed an improvement in many aspects. From my point of view, the music lineup with the whole international movement of the brand during the year (elrow on the Road), were the most important factors to put an end to an incredible season. The brand is buzzing! But what is it to be a singermorning? DS – It’s an attitude, adopted with some regularity that never hurts. Be yourself, allowing to lose yourself with the people, forgetting the day, being a protagonist of what is happening around you but without disturbing anyone, and transcending your good vibes. Javi, what did you think of the 4 KOMPAKT TOTAL event dates on Saturdays at Space Ibiza? JB – They have given Kehakuma a special touch. 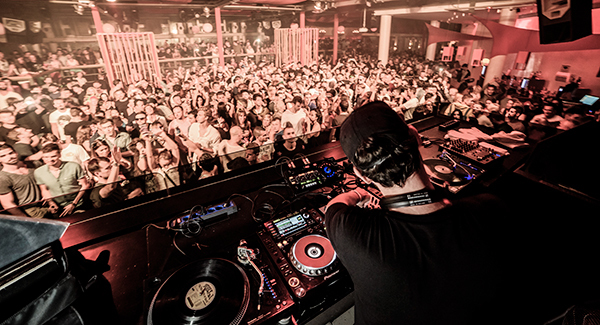 It is a major label within one of the best underground parties in Ibiza. This year elrow has invested heavily on their residents adding many hours of set times at the party. De la Swing, what does that mean to you? DS – Undoubtedly, this season the family has opted more for its residents and is a decision that has pleased us all in general. When you work for a brand and are a resident is very easy to stay in the background, and this is where your survival comes in. If you do not want that to happen, we must work more on the studio, perform on your own in other clubs and thereby earn your place in industry and other promoter’s agendas. So, having the opportunity to have more hours of September at Space Ibiza and hours is key – as in my case 4-5 closing sets is a great help with this great showcase called Ibiza. How would you summarize the 17 elrow Ibiza dates this summer? DS – I have had the opportunity to perform on 9 dates this summer and if I close my eyes I can remember a good time for each. Fun, entertainment, madness, illusion, magic and love was not to be missed. All this is the concept of elrow. It is very easy to summarize these 17 functions – This iselrow. Javi, what has been the hallmark for Kehakuma in 2015? JB – The label that Kehakuma always has… Quality electronic music and elegance in every way. A perfect combination. Your back-to-back with Reboot has given a lot to talk about. How was it? JB – I had a great time spinning hand in hand with Reboot. It was the first time we had b2b together and we perfectly understood each other from the first track we played. For me it was one of the most memorable nights this summer spinning at Kehakuma. It was really fun! What do you think has been the summer hit? JB – One of the tracks that I liked this summer was by Koze – ‘XTC (Original Mix)’ on Pampa Records. It made me smile and I really enjoyed dropping it various times this summer at Space Ibiza. It’s a track that I’ve received and put on my list of season favorites. DS – Like the track for the closing set: Sandrino, Frankey – ‘Acamar (Original Mix)’ and and Axel Boman – ‘Nokturn (Grand Finale)’ worked very well the dance floor was at its peak. Do you think you could summarize the elrow – Kehakuma closing party in 3 words? DS – I do not like goodbyes even knowing that it’s not a see you never but a see you soon. I felt nostalgic when the music stopped and said goodbye to the team until next year. Although that nostalgia is beautiful: it is what you feel when you do what you like. In 3 words? Madness, happiness and nostalgia. JB – For me it was magical, powerful and elegant. Thank you and see you guys next year! JB – Thank you and see you soon. DS – Until next time. 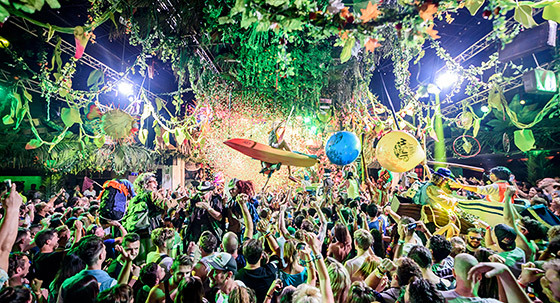 Now we just have to wait all winter long to once again enjoy elrow – Kehakuma at Space Ibiza. Until then we expect you to remember what you experienced thanks to the photo and video albums which you could find on the Space Ibizawebsite, and the Facebook pages for Kehakuma and elrow.